The International Monetary Fund (IMF) is providing $330 million of financing to aid Ebola-impacted countries. The plan includes $170 million of debt relief and grant-like aid for Liberia, Sierra Leone and Guinea. The new plan also expands a debt relief facility previously used to cancel debt after Haiti's 2010 earthquake. The new expanded facility, the Catastrophe Containment Relief Trust (CCR), is now a permanent debt relief facility for the world's poorest countries when they experience shocks such as epidemics or natural disasters. 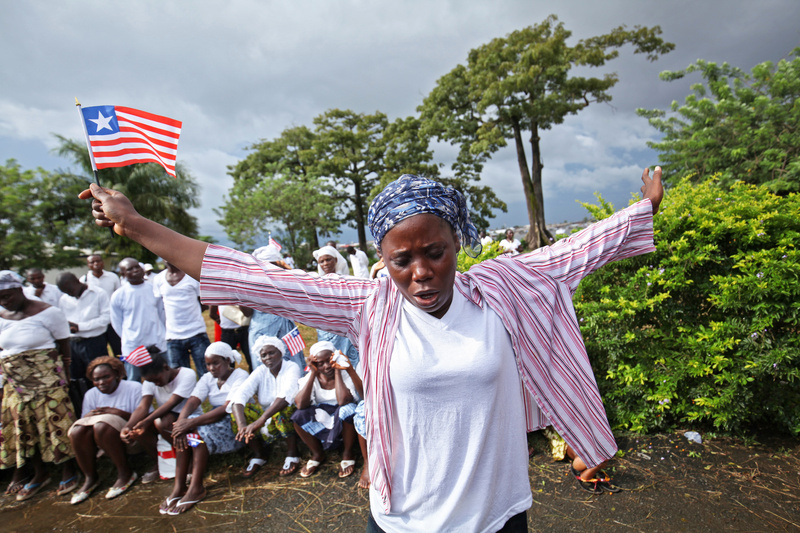 "This aid is so vital for the countries affected by Ebola," said Eric LeCompte, Executive Director of the religious anti-poverty organization Jubilee USA Network. "Now we have a permanent debt relief vehicle for when the poorest countries face certain crises. Essentially, a global social safety net is now in place to protect the least developed countries when they experience disasters." $100 million of debt relief will come through the IMF's new Catastrophe Containment Relief Window Trust. Another $70 million in debt relief will come from other governments who hold debt in the three countries. Concessional loans of $160 million add up to a grand total of $330 million in new financing. The package also includes a new financing mechanism designed to deliver funds to disaster-impacted countries quickly without worsening debt burdens. "This new fund is an important, permanent tool in the fight against poverty," noted LeCompte, who serves on United Nations expert groups on debt and global finance. "It means resources for countries that need them most at the time they need them most." Jubilee USA moved the IMF to create the Post Catastrophe Debt Relief Trust (PCDR) after Haiti's 2010 earthquake and to finance the fund through windfall gold sales. Jubilee USA urged the US government to call on the IMF to use the fund for Ebola-impacted countries. In November, the White House asked the IMF to grant $100 million in debt relief through the fund and took its proposal to the G20. At the G20 summit, the IMF agreed to the $300 million package, which its board now approved. The Fund's plan includes a new innovation: rapidly distributing loans to countries in need and then using debt relief to provide grant-like aid. The $100 million in debt relief - which represents roughly 20% of the countries' quotas at the Fund - is designed to offset any increased debt burden from emergency loans. Prior to the announcement, Liberia, Sierra Leone and Guinea owed a combined $372 million to the IMF. The three countries have a combined total debt stock of over $3 billion; much of that debt comes from dictatorships, civil wars and one-party rule. The three countries paid a total of $81 million in debt service in 2013. In 2012, Guinea, where the outbreak began, spent more money on debt than on public health. "Tonight I'm toasting the IMF and the White House," said LeCompte. "Unfortunately the World Bank has remained silent in the face of this crisis. I pray they follow the IMF's lead."